Snow, Carpio & Weekley - AZ Workers' Compensation and SSD Attorneys: CAN YOU FILE FOR WORKMANS COMP AND SOCIAL SECURITY BENEFITS AT THE SAME TIME? 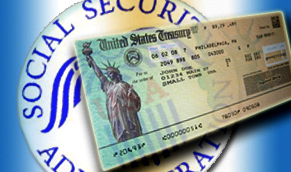 CAN YOU FILE FOR WORKMANS COMP AND SOCIAL SECURITY BENEFITS AT THE SAME TIME? Yes, you can file a claim for Workman's comp and social security disability benefits simultaneously. The two benefit systems are completely separate and distinct (ssd is a standardized federal program while workers compensation laws may differ state to state). Snow, Carpio, and Weekley can handle both your Workers' Compensation and Social Security Disability claims. For a FREE consultation, pleae contact our offices at either 602-532-0700 Phoenix or 520-647-9000 Tucson.